Kenneth L. Hatch III listens during his trial at Capital Judicial Center in Augusta. 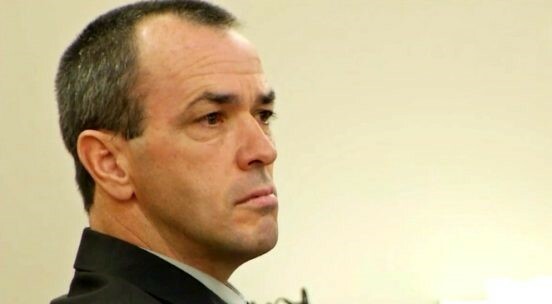 ROCKLAND, Maine — A plea deal accepted Friday allows a former Lincoln County sheriff’s deputy to avoid retrial on 20 sexual assault charges in exchange for pleading guilty to a single misdemeanor count of providing a place for minors to consume alcohol. Kenneth L. Hatch III, 47, of Whitefield entered his plea Friday to the charge — just filed Thursday in Lincoln County Superior Court — before Superior Court Justice William R. Stokes in Knox County Superior Court. Stokes dismissed the 20 counts with prejudice, meaning Hatch cannot be tried on them again, and assessed the mandatory $1,000 fine. Assistant Attorney General John Risler, who prosecuted the original case against Hatch, asked for a 10-day suspended sentence, but Stokes said that was not an option and did not sentence Hatch to any jail time. One of three alleged victims, who read a victim impact statement in the courtroom, said she was angry at the outcome. She said Hatch was “a monster” who betrayed her, leaving her fearful and suffering from panic attacks. In November, jurors in Kennebec County found Hatch, 47, not guilty of two counts of sexual abuse of a minor and furnishing marijuana to a minor but said they were hung on the other 20 charges of sexual crimes involving three teenagers, some in his cruiser while on duty. Stokes declared a mistrial on the remaining charges, which included sexually abusing three teenagers when they were younger than 16 and one when she was 6 and providing marijuana to them. One of three victims and the mother of another told Stokes on Friday they were angry and disappointed about the resolution of the case. “Even though I knew coming forward would be hard and [do] irreversible damage to my family, I wanted to do the right thing,” one said, her voice shaking as she added that her family was “manipulate[d]” and she eventually grew addicted to opiates. Lynn Talbot, victim/witness advocate for Knox County, said neither the third alleged victim nor her mother thought they could speak on Friday. Because Hatch has been convicted of a misdemeanor, he will lose his certification from the criminal justice academy. Risler said following the sentencing that the likelihood of convincing another jury of guilt beyond a possible doubt was small. Attorney General Janet Mills issued a statement on Friday afternoon, noting that prosecutors do believe the alleged victims.